You’re playing a 5 handed shootout tournament and you are sitting on the button with A8. The player in the cut-off has raised and you called. 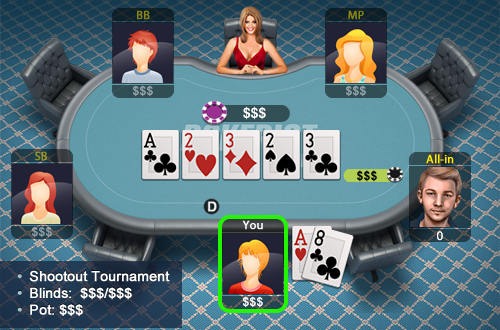 Flop comes A23, your opponent bets and you call, turn comes 2 your opponent bets again and you call. The river comes 3 and your opponent goes all in.